Animal emergencies happen and our veterinarians can help you deal with all types of equine, food animal, and small animal emergencies. 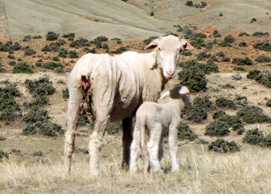 Call our office in Kaycee at 307-738-2413 or in Sheridan at 307-763-6073 to contact a veterinarian after-hours. We are happy to provide externship opportunities that foster learning and growth for both veterinary and veterinary technician students at our hospitals! Please contact Dr. Carden for more information on scheduling an externship.